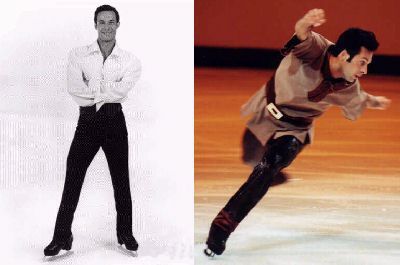 -Eric competed at the 1998 Grand Slam of Skating on September 25 and 26. He skated great and finished in sixth place. His competitive program was the Hunchback of Notre Dame and he also performed an exhibition the next night. For more information, see the News page. If you know of any information about Eric that's not on this site, please let me know! The pictures at the top of this page are © photos by Marco Entertainment (left) and Leah Adams (right).